Earlier this week, Apartment List released the June rent report for Houston. Rent growth in Houston still remains far below that of Texas overall, and the area continues to be one of Texas’ more affordable. 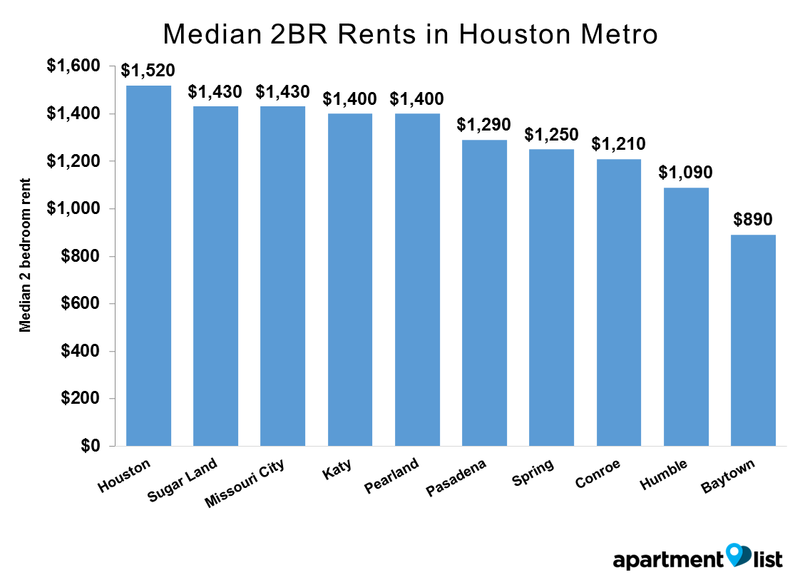 Besides Houston itself, Sugar Land and Missouri City are the most expensive cities for renters in the Houston metro, at a median rent price of $1,430 for both. Sugar Land rents have decreased by 0.2 percent over the past year, and Missouri City rents have grown by 2.4 percent. Sugar Land rents may not be ahead of those in Missouri City for much longer! Sugar Land & Missouri City are the most expensive cities for renters in the Houston metro. 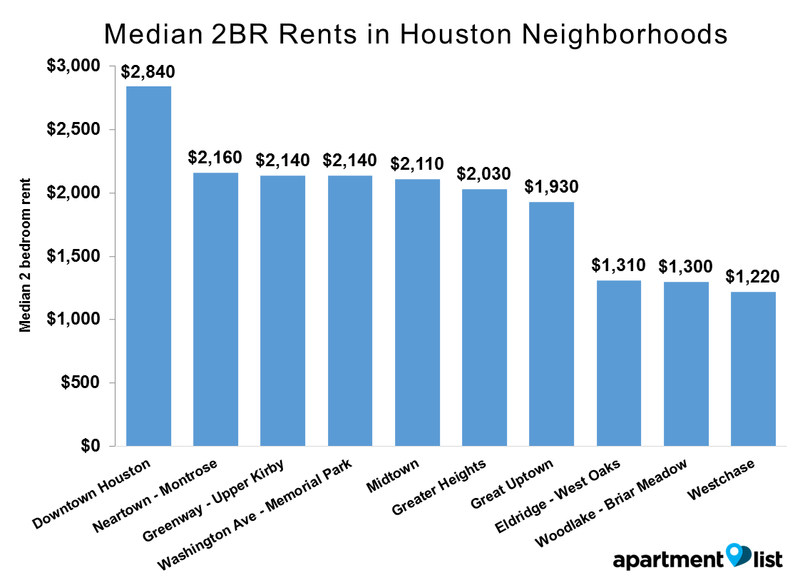 When it comes to neighborhoods in Houston, downtown is the most expensive for renters. Here a two-bedroom apartment rents for the median price of $2,840, and one-bedrooms go for $1,750. Rents in Downtown grew by 0.9 percent over the past year. Other pricey neighborhoods for Houston include Neartown – Montrose and Greenway – Upper Kirby. Downtown is Houston’s most expensive neighborhood for renters. For methodology and data for other cities and neighborhoods in the Houston metro, please see Apartment List’s City Report.